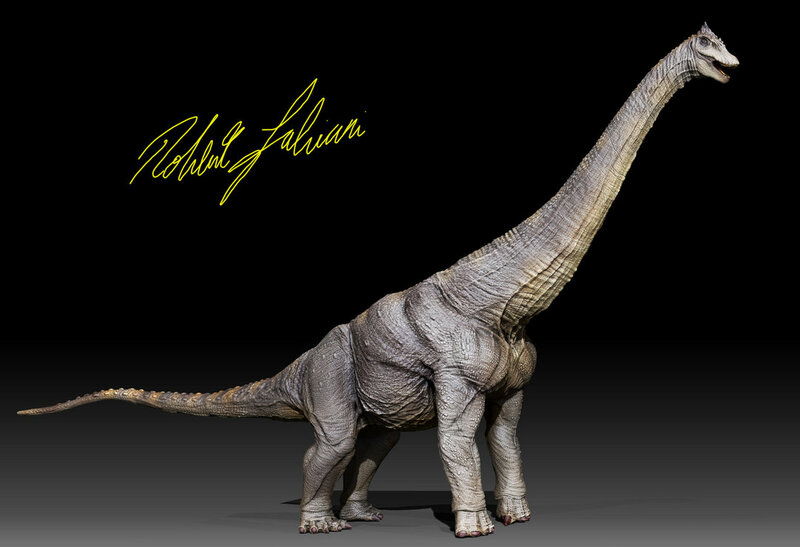 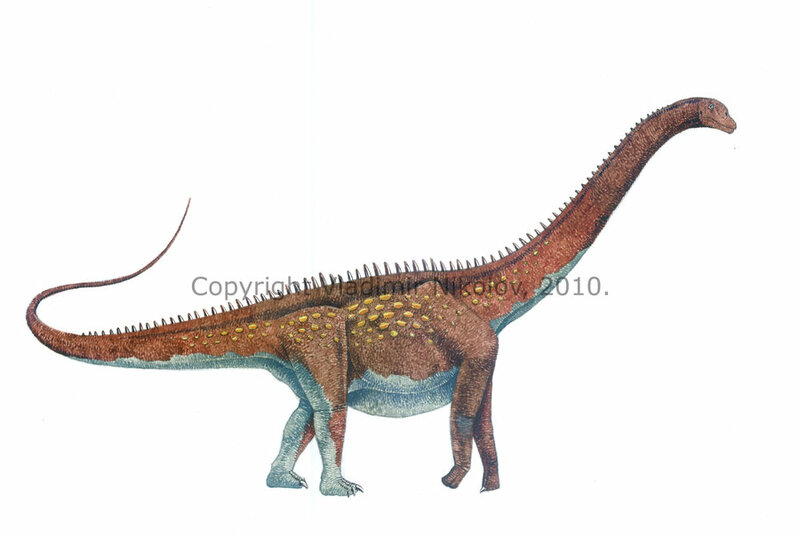 Alamosaurus is a large dinosaur which lived approximately 65 to 73 million years ago during the late Cretaceous Period. 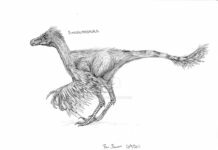 It was first discovered in 1922 in New Mexico and was subsequently named by Smithsonian paleontologist Charles W. Gilmore that same year. 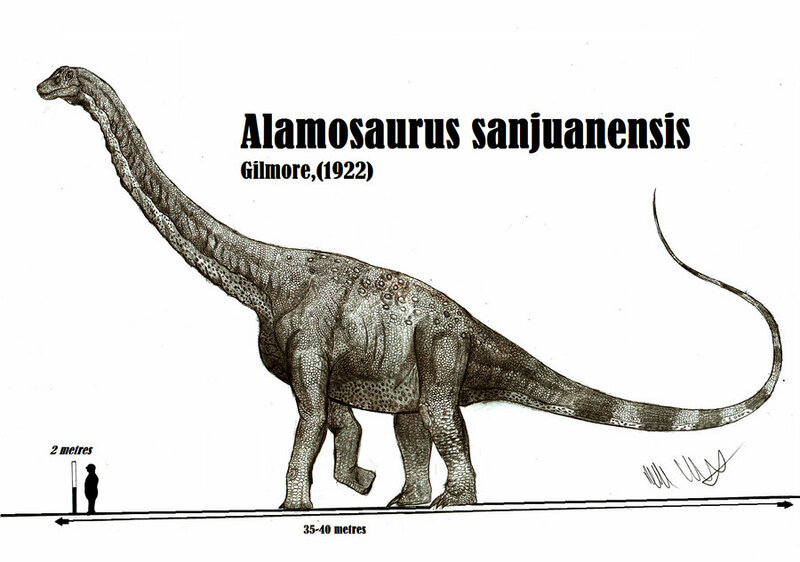 An interesting fact about the name of Alamosaurus isn’t named after the Alamo in Texas—although large numbers of this dinosaur have been found in that state. 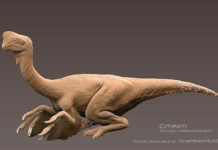 Instead, it was named after the Ojo Alamo sandstone formation in New Mexico. 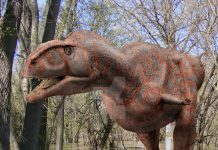 Before this dinosaur was discovered, it was thought that all of the large sauropods in North America had died out at the end of the Jurassic. 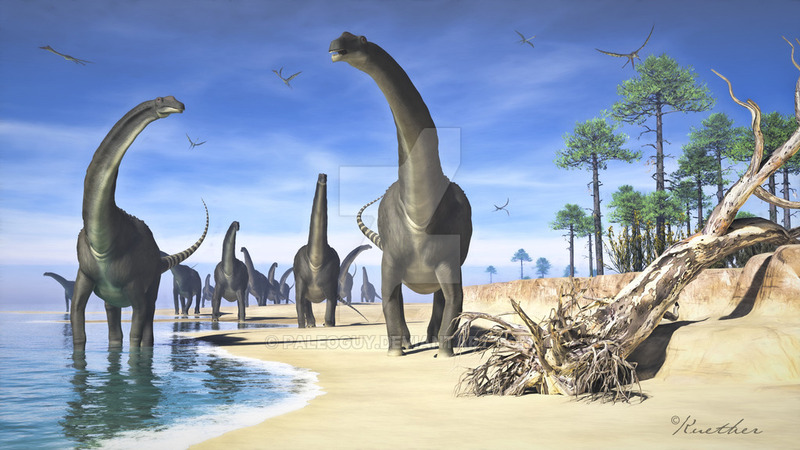 However, this discovery, as well as the discovery of a large number of them in Texas, has shown that these massive creatures lived in North America through the Cretaceous Period. 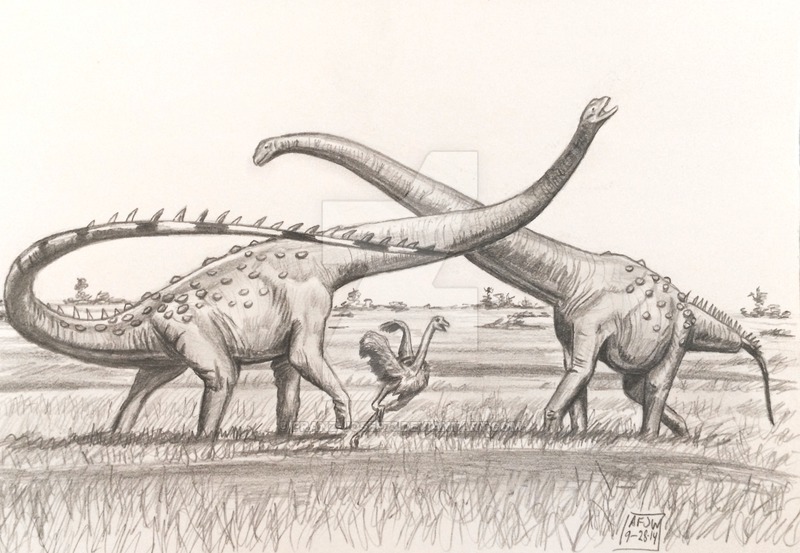 It is unknown how these dinosaurs came to live in North America, but some paleontologists have speculated that they crossed the Bering Land Bridge from Asia and then migrated to the southern portion of the continent where the climate was more suitable and stable for them. 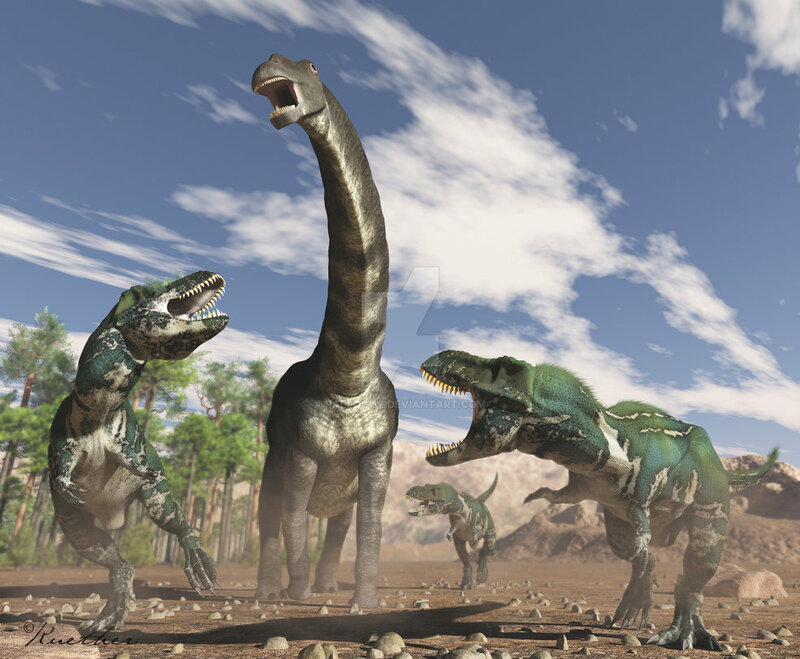 Although Alamosaurus lived in the same area as large carnivores such as Tyrannosaurus Rex, it is unlikely that it was hunted by them. 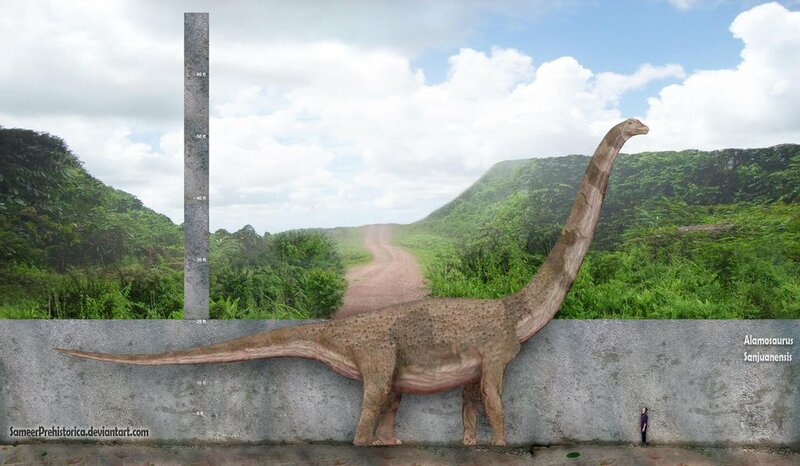 A full grown Alamosaurus would have been too large to have been taken down by a solitary T Rex. 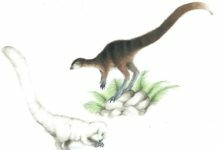 However, it is quite possible that juvenile members of this species were routinely hunted by large carnivores. 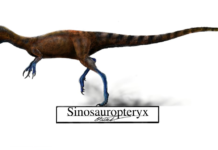 After finding a large number of this dinosaur’s fossils in Texas, paleontologists have done some analysis on the possible number of these dinosaurs which may have lived in Texas at one time. 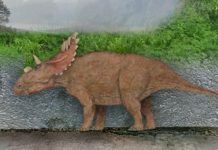 Some estimates say that anywhere from 250,000 to 350,000 of these dinosaurs may have lived in the State at one time, possibly in large herds.